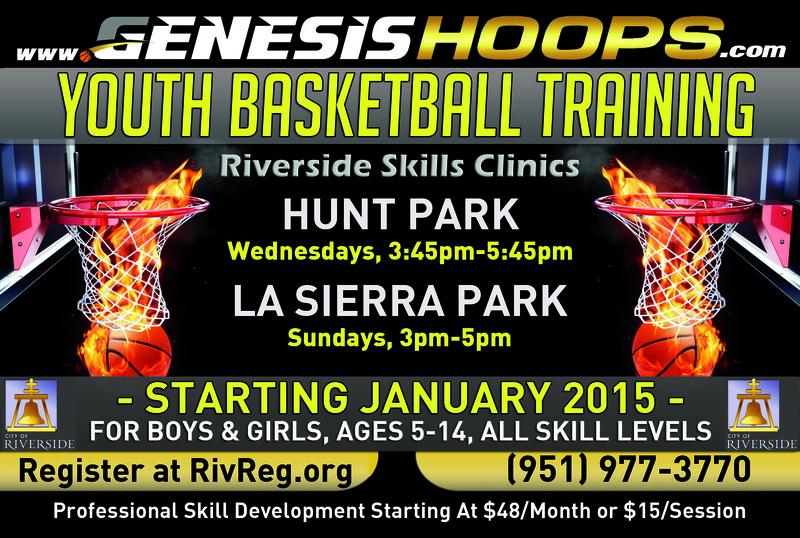 This affordable clinic is great for players of ALL SKILL LEVELS looking to benefit from professional skills training. 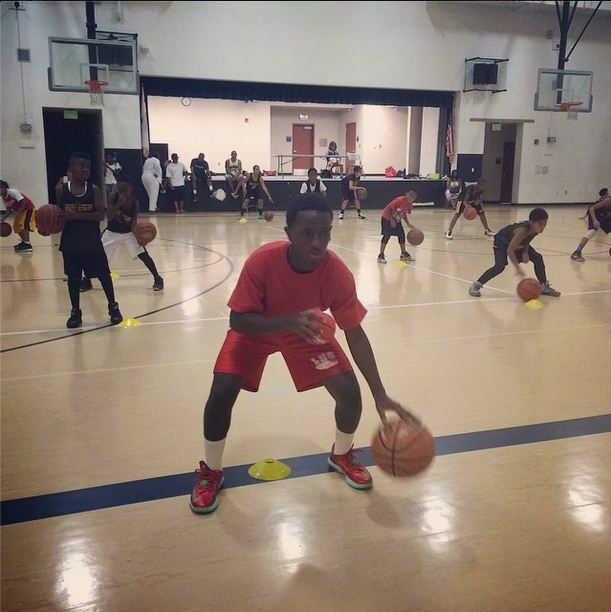 Many players sign up for leagues, but do not focus on individual skill development. However, top athletes at all levels, never forgo or forget the importance of skill development and training. 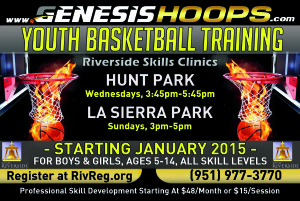 Genesis Hoops offers the opportunity for young athletes to begin training for their future for now! Boys and girls of all skill levels are invited to attend. SPECIFIC DATES: November 21st, December 12th, December 19th. Boys and girls from schools all over the Inland Empire are invited to attend. *SPONSORED BY* – Sports Authority, Smart & Final, Subway, Chipotle, The Olive Garden, & John’s Incredible Pizza…with a special donation from Adidas! DAY 1: Monday, December 22nd, 9AM-3PM in RIVERSIDE, CA! 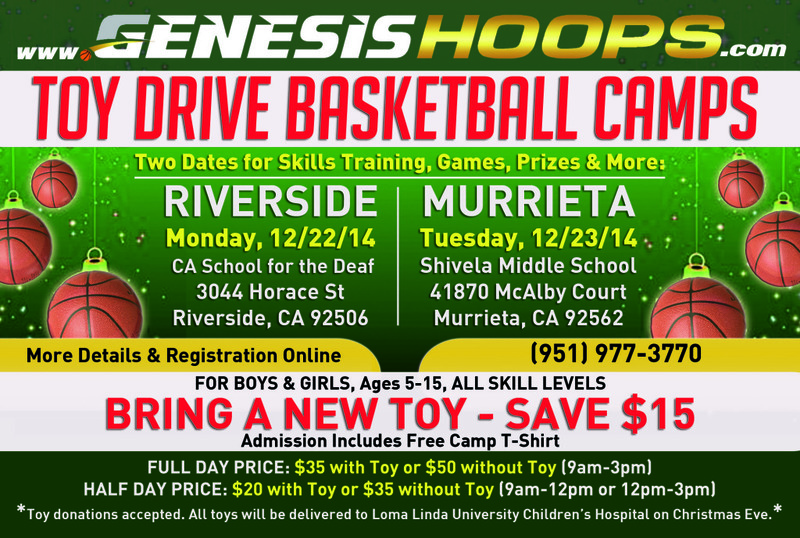 DAY 2: Tuesday, December 23rd, 9AM-3PM in MURRIETA, CA! 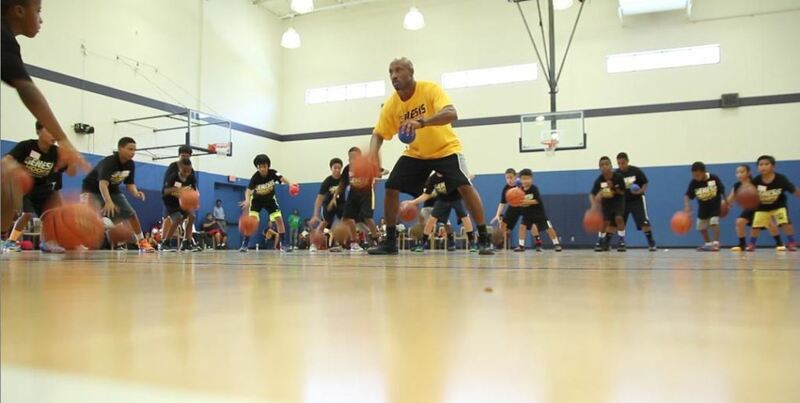 Experience the difference of Genesis Hoops Pro Skills training, play in 3-on-3 games, compete in skills challenges for prizes, and so much more. This camp is open to boys and girls of all skill levels. Players will be divided by age and skill level, and each camper will receive a free camp t-shirt. Players can bring a packed lunch or purchase pizza, water, Gatorade, or snacks at the event. As with all our training, we’ll focus on extracting the highest level of potential with each and every player. See you there! 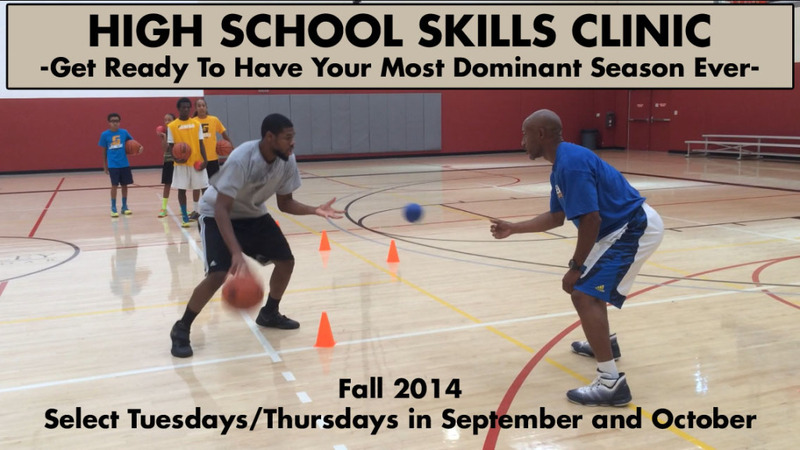 Attention all ballers, sign up for the Season Preparation Skills Training being offered for a limited time on Tuesdays, Thursdays, and Fridays… This is absolutely the best time to prepare for your upcoming season, and train the right way. What are you doing before the season that your competition is not doing? 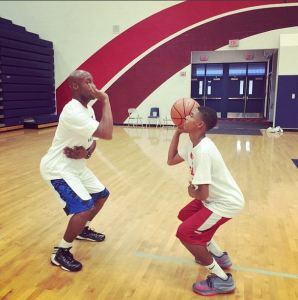 Get in the gym for these intense sessions and tune-up your offensive skills. This clinic will polish up your shot, strengthen your handles, increase your explosiveness, improve your conditioning, and get you ready to be a monster on the court!!! High School boys and girls from schools all over the Inland Empire are invited to attend. 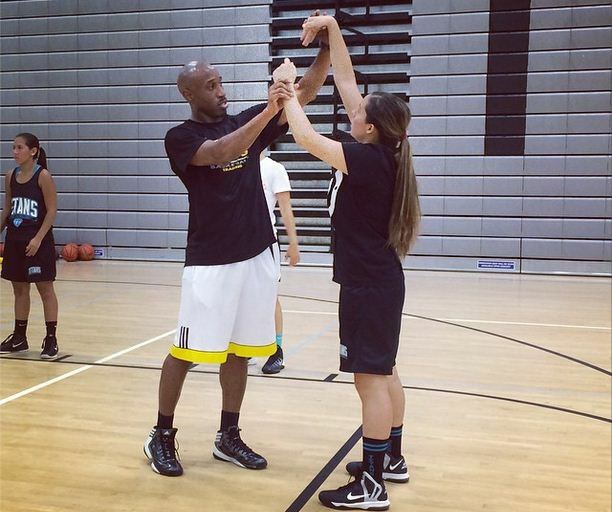 IE Ballers- Are your ready to be a dominant force on the court this 2014-2015 basketball season? Here’s your chance to tighten up your shot and offensive skills before the upcoming Winter season!!! Don’t miss this extraordinary Professional Shooting Camp which will be held at The California School for the Deaf in Riverside on October 11th. Players from grade 1st-12th from all over the Inland Empire, including cities such as Corona, Moreno Valley, Murietta, Ontario, Eastvale, Norco, Perris, Canyon Lake, Temecula, Beaument, Hemet, Banning, Redlands, San Bernardino, Rialto, and many other nearby cities are invited to attend. This is an unbelievable opportunity to train with the Genesis Hoops Pro Skills Trainers at an extremely affordable price! $20 Early Bird registration is now available through 10/5/14. Don’t miss out… REGISTER NOW! Genesis Hoops worked out the Moreno Valley based West Coast Warriors travel basketball team last week and introduced many of them to our innovative medicine ball training for the first time. Parents watched as these drills helped strengthen players’ grips, taught them to have an active off hand, and dynamically improved their ball handling. We combined these drills with others we use for improving footwork and shooting, and gave them a workout that they won’t soon forget. Our team training service travels to many teams throughout the IE and works with them towards accomplishing one purpose: make each individual player better, more confident, and more skilled. Call us anytime to learn more about how we can assist you or your team with our Pro Skills Team Training, 951-977-3770. Grand Terrace High School girls team is putting in the work with Genesis Hoops to get their shots and game tight before the start of their season. What are you doing this Pre-Season to make sure that this coming season is your best ever??? 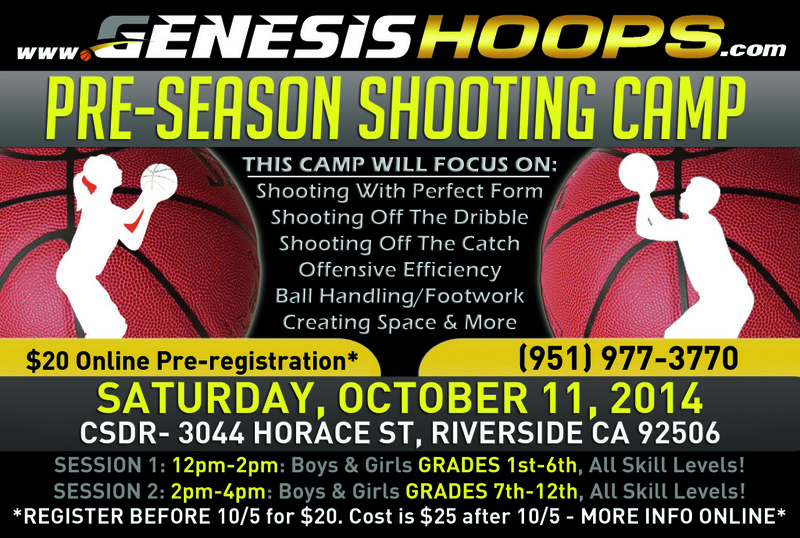 Genesis Hoops launched in Riverside on August 9th, 2014 with a Powerful Skills Development Camp. 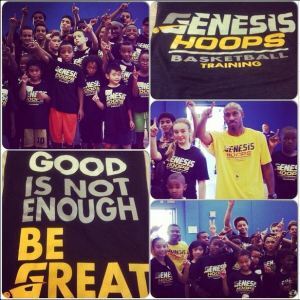 Players from ages 5-18 were treated to a innovative basketball skills development camp, offered by Genesis Hoops professional basketball trainers.